Joel Smith is the President and CEO of J. F. Smith & Associates, a business advisory and management consulting firm located in Philadelphia, PA. Joel has over 12 years of consulting business experience coupled with nearly 30 years of corporate leadership experience in services, product and process development for a wide range of industries and technologies. Joel has held general management positions for start-ups and Fortune 500 companies. He was a co-founder and principal of The People Source Group and served as general manager of HITEK, a start-up venture of Sarnoff Corporation. He has managed turnarounds including a business unit of FMC and The Delp Corporation. He was VP of Engineering for The Synthetics Group. Joel has led and coached financial, marketing, operations and technical professionals for over 30 years. He has provided consulting services to internal and external customers. 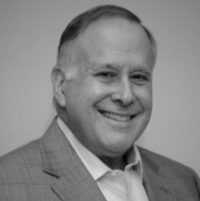 Joel is currently Vice President of the Central Board of the Settlement Music School and Deputy Vice President of the Board of Philadelphia-Israel Chamber of Commerce. Additionally, he serves on the Governing Body of Athena PowerLink. Joel was Chairman of the Board of Directors of BioStrategy Partners; a former chair of the Small Business Board, member of the Board and Executive committee of the Greater Philadelphia Chamber of Commerce; board member of Keystone Care; and member of steering committee of Mid-Atlantic Diamond Ventures of Temple University (formerly Diamond State Ventures). Joel holds a Bachelor Degree in Mechanical Engineering from the Towne School of Engineering, University of Pennsylvania.